Payment processing, mobile enablement, risk detection, merchant services. Get the tools needed to ensure regulatory compliance, improve operations, increase market share, and minimize risk, and ensure great customer service. As banking and financial products proliferate and grow in complexity, the financial services industry is in a perpetual state of flux. Regulations, mergers, and other industry trends require a continued focus on reducing risk, while targeted marketing initiatives rely on technology solutions that harness the power of Big Data. Our e-commerce, Big Data, and mobility solutions give banks and credit institutions the tools they need to ensure regulatory compliance, improve operational efficiency, increase market share, and minimize risk—all while ensuring superior customer service. 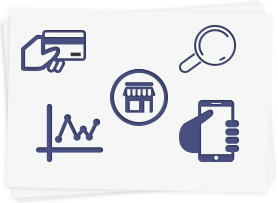 With an emphasis on credit, debit, and smart card providers, our key capabilities include payment transaction and application processing, mobile payment enablement, risk detection, back-office fulfillment, merchant processing, and more.